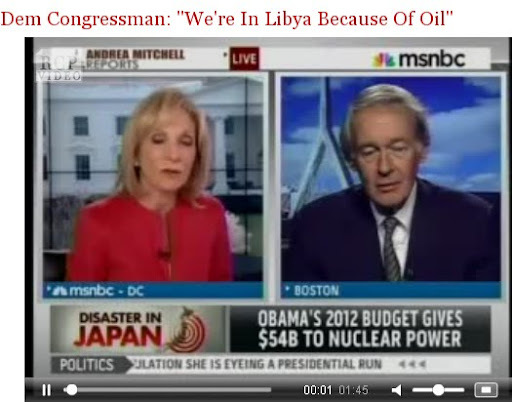 Markey: Well, we're in Libya because of oil. Partial transcript -And I think both Japan and nuclear technology and Libya and this dependence we have on this imported oil have both once again highlighted the need for the United States to have a renewable energy agenda going forward. ...But it all goes back to the 5 million barrels of oil that we import from OPEC on a daily basis and the Republicans in Congress -- and I'm just going to finish on this note -- last week in the House of Representatives, in the Energy and Commerce Committee, stripped the Environmental Protection Agency of their ability to increase the fuel economy standards of the cars and trucks and planes and trains that we put the oil into. And, by the way, in a bill that passed three weeks ago, zeroed out all the loan guarantee money for wind and solar, while leaving in the money for nuclear power. So, this is the time for a great debate: Japan and Libya, oil and nuclear. What is our future? 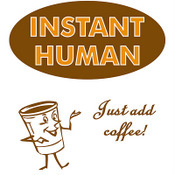 And if we are going to have one, shouldn't it be one where we tap into our own technologies, our own abilities, to be able to provide the electricity we need with the indigenous natural resources we have in our own country rather than dangerously playing games with OPEC countries or with the nuclear technology which is inherently unsafe. So, I think that all Americans know why the president made this strike. As long as American soldiers are not on the ground, as long as no bloodshed is attributed to our young men and women, then I think its a good decision for the president. Mitchell: Thank you very much, Ed Markey. Washington's Blog- Remember that Alan Greenspan, John McCain, George W. Bush, a high-level National Security Council officer and others say that the Iraq war was really about oil. And according to French intelligence officers, the U.S. wanted to run an oil pipeline through Afghanistan to transport Central Asian oil more easily and cheaply. And so the U.S. told the Taliban shortly before 9/11 that they would either get "a carpet of gold or a carpet of bombs", the former if they greenlighted the pipeline, the second if they didn't. See this, this and this. Libya's exports oil to many countries, including Italy (32 percent), Germany (14 percent), France (10 percent), China (10 percent), and the United States (5 percent), according to Reuters. Many of these nations, including Italy, France, and the U.S., are part of the international coalition gathered to enforce the UN no-fly zone over Libya, according to Defense News. China continues to pursue its diplomatic strategy of letting the West secure its access to natural resources in places like Afghanistan and Iraq, while speaking out against such efforts. China's position is well calculated. Shukri Ghanem, chairman of Libya's National Oil Corporation, explained that future oil deals from Libya will depend on whether or not nations joined the international coalition against it, the Gulf Daily News reported. "A friend in need is a friend indeed," he said. "If someone stood with you, you cannot tell him no." Ghanem said he is looking to work closer with China, India, and Brazil in the future. As Oil & Gas Journal reported on Friday that the West's access to oil in Libya is in doubt if Gadhafi remains in power.